The Lancashire County Cricket Club fixtures for 2019 announced on Tuesday do not include a match at Blackpool CC. Although Stanley Park has not staged a County Championship match since 2011, the ground has been chosen for a Royal London One-Day Cup fixture in each of the past four seasons. All four home group games in next year's one-day competition will be staged at Emirates Old Trafford. The only outground to have a fixture confirmed is Liverpool, which will stage the Championship match against Leicestershire starting June 3, the first such match at Aigburth for five years. A venue for the home match against Durham at the end of that month is yet to be confirmed. Following a two-week pre-season tour to Dubai in March, the Red Rose will start their Championship Division Two campaign away at Lord’s as Glen Chapple’s side take on Middlesex starting on April 11. 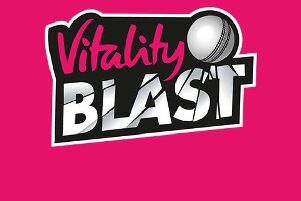 The first Roses fixture of the summer takes place at Headingley in the Royal London One-Day Cup against Yorkshire on April 21, whilst the knockout stages are scheduled to be played on May 10 and 12, with the final taking place at Lord’s on May 25. The Specsavers County Championship then resumes after the conclusion of the Royal London One-Day Cup, with consecutive home fixtures at Emirates Old Trafford against Northants and Worcestershire. Lancashire will play in North Wales for the first time since 2015 when they face Glamorgan at Colwyn Bay in August. 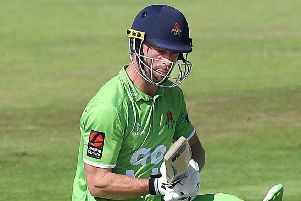 New Lancashire captain Dane Vilas said: “The announcement of the 2019 fixtures brings the season a step closer and we’re all determined to perform consistently next year and win back our position in Division One. That is where this club should be.